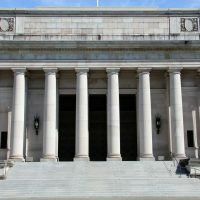 A split Washington Supreme Court says the Attorney General’s Office can pursue a campaign finance disclosure case against the conservative Evergreen Freedom Foundation because disclosure requirements do apply to local ballot measures even before they’re turned in for official review. The Freedom Foundation had provided free legal services to citizens in Sequim, Shelton and Chelan who were gathering signatures for measures that would make collective bargaining sessions with public employee unions open to the public. State law explicitly says that after a measure has been turned in to an elections official, donations to that campaign must be reported. Statewide initiatives are turned in for approval before signatures are gathered. But in local initiatives, supporters often collect signatures before turning in the measure.